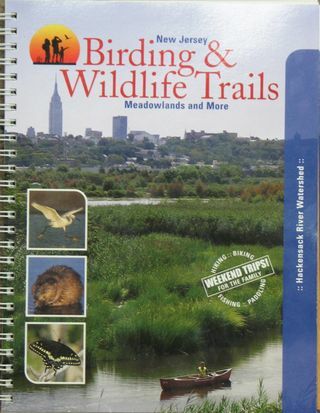 If you are looking for a guidebook that covers the parks and natural areas of the Meadowlands and beyond, contact us for a free copy of “Birding and Wildlife Trails: Meadowlands and More” guidebook. To date, the NJMC has distributed more than 43,000 English- and Spanish-language copies of the free color guide, including to locations as far away as Singapore and Tel Aviv.The guidebook was coordinated by the New Jersey Audubon Society, and it's a great publication. To request copies of the "Birds of the Meadowlands" brochure in English or Spanish — or other eco-tourism materials — contact the NJMC at (201) 460-4694 or info@njmeadowlands.gov.